Siem Reap no doubt spoils for choice when it comes to hotels but it can also be a strenuous task to filter through the seemingly endless list of boutique and heritage hotels. In honesty I find the French-colonial style hotel to be overplayed in Siem Reap and no doubt you’ll feel the same passing the somewhat artificial and garish strip of white facades which line the main road from the airport. The ’boutique hotels’ are no different where the word ’boutique’ flippantly describes standard hotels which have been furnished with mass produced Khmer carvings or come centred round a religious shrine. On this visit we decide to steer clear of both and instead search for something truly unique, something authentic and something real. 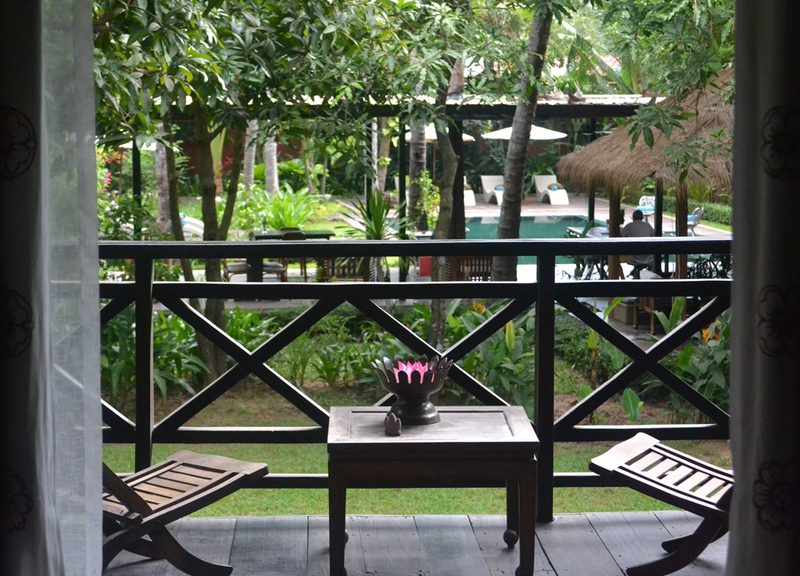 In Siem Reap it is hard to look past Maison Polanka. 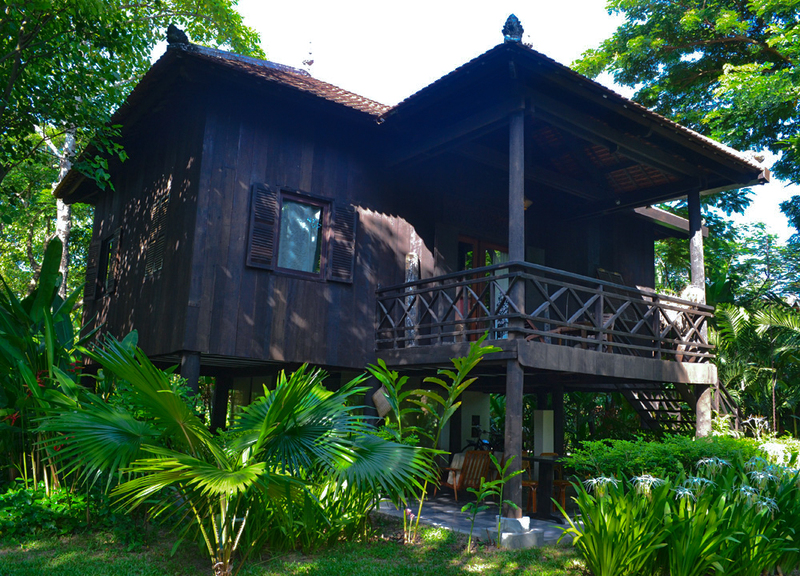 At Maison Polanka we are set up in a near century-old traditional Khmer house beautifully designed in native hardwoods and decorated with regional arts and antiques. 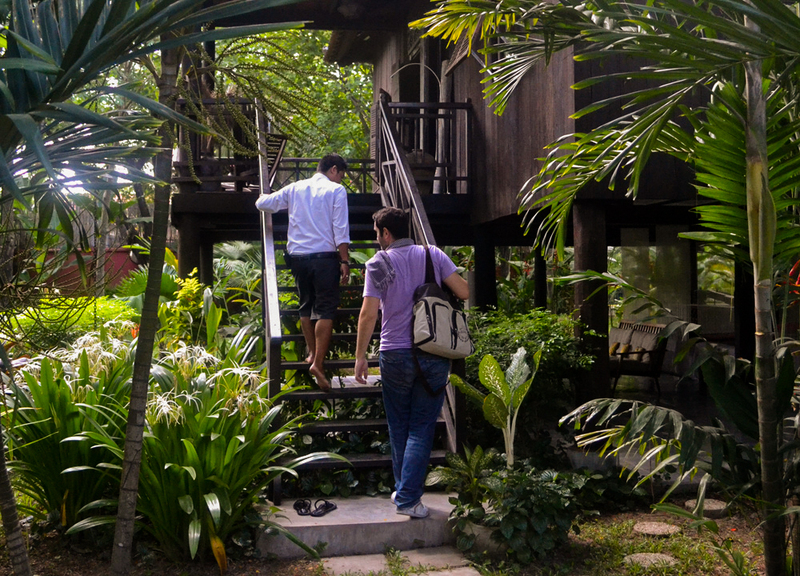 The house is held up on stilts, surrounded by lush tropical gardens and offers one of the unique Asian experiences which we all dream of. 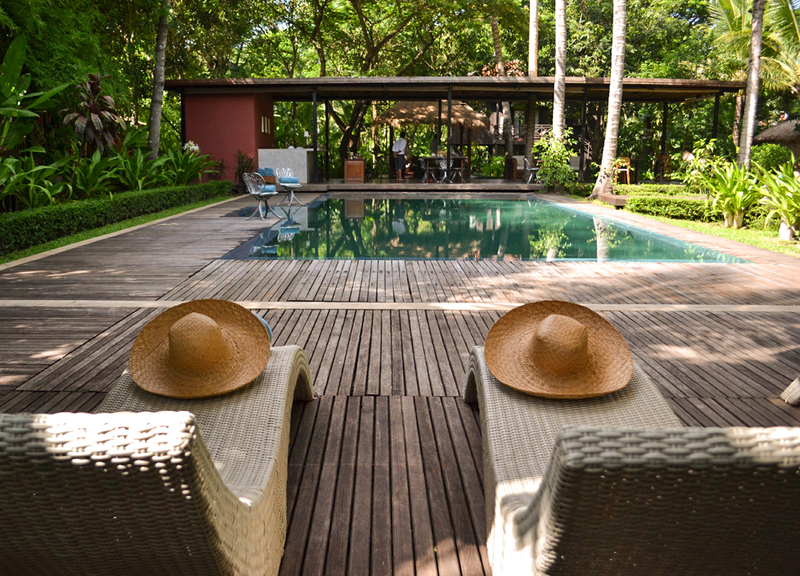 These days, as opportunism often weighs against preservation, experiences like Maison Polanka come few and far between and while Masion Polanka could easily host hundreds in its grounds, it instead caters to an exclusive five guestrooms all set in an intimate and beautiful secret garden. With five guestrooms and with guests running on temple filled schedules there’s a high chance that dining will be to your own. Every meal we eat alone, private and intimate next to the infinity pool and under the revolving fans of the restaurant sala. 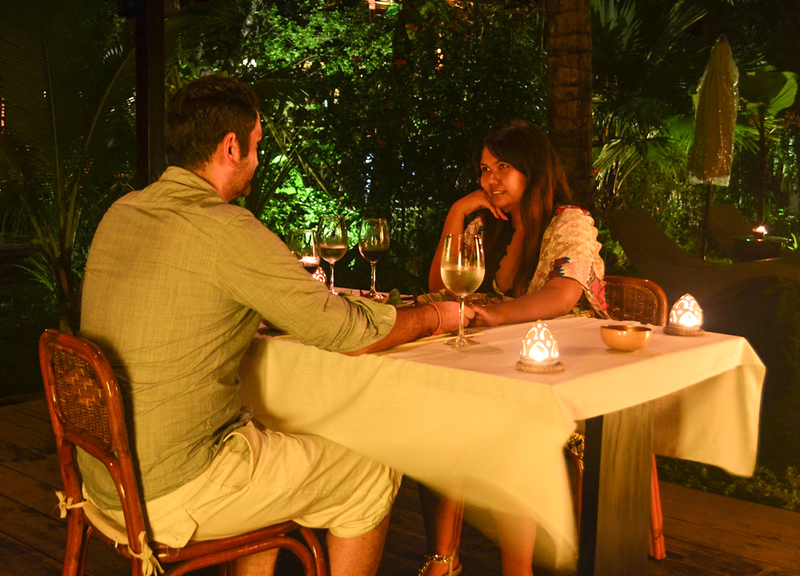 Morning scrambled eggs to romantic evening candlelit dinners. 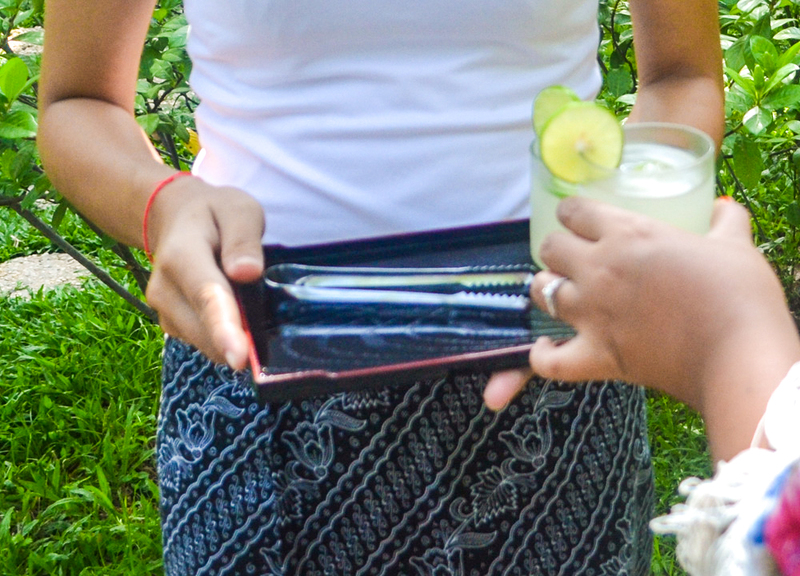 Meals can fit to any schedule and guests have the loan of mobile phones to communicate and organise the day to their liking. After the early sunrise at Angkor Wat we can simple nip back for a relaxed breakfast before our return for the rest of the day exploring. The menu at Maison Polanka offers authentic family recipes with ingredients sourced from the Maison Polanka gardens and local markets. 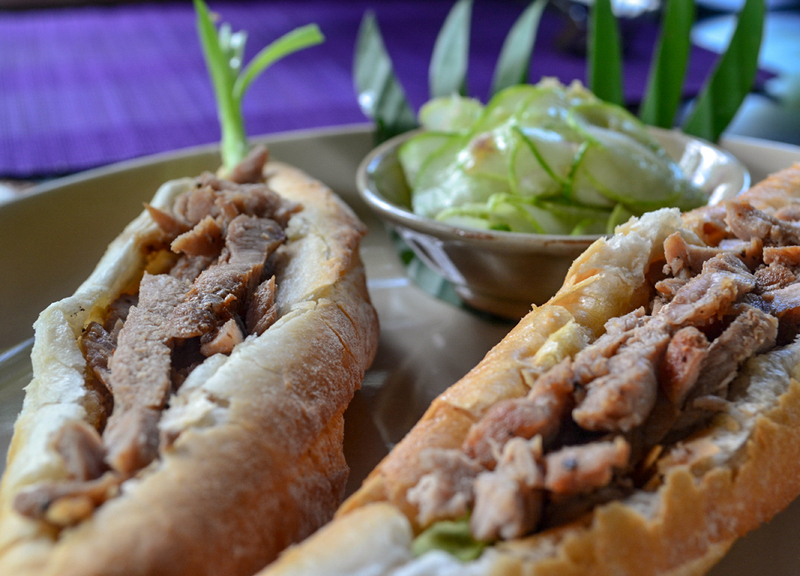 There is a mix of authentic Khmer cuisine, but also the local French influences and other international favourites. A couple of my own favourites include the stir fried beef loc lac and of course the french breads which we miss so much living in Thailand. 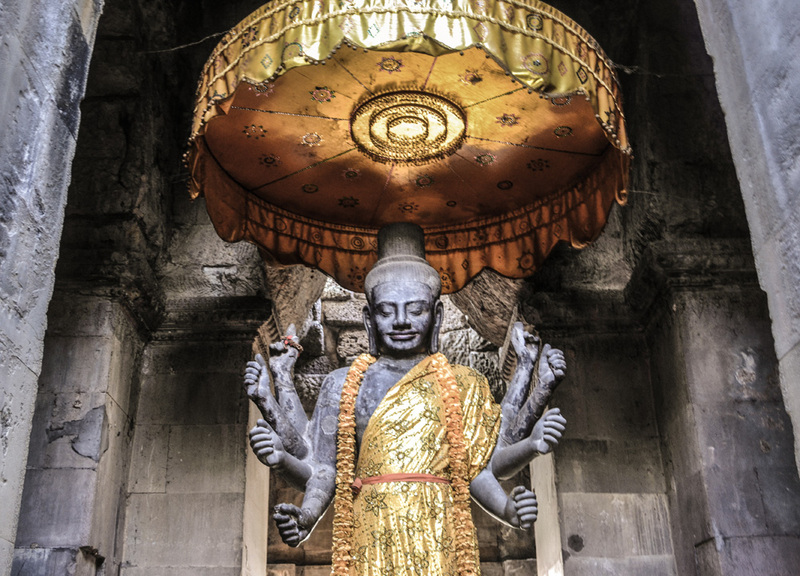 The moment you enter the gate already refreshing towels on their way to greet you and after a day at the Angkor temples you’ll no doubt understand why. Siem Reap has to be one of the most humid and tropical destinations I have visited and comfort is very important during a visit. Again the personal touch is presented at its fullest yet much goes unseen, so much I was made to look like a new man, organized, cleaning up after myself, “Did you hang my clothes?” – “Of course dear I was worried they’d get crinkly”. Each time we leave the room we return to find our mess tidied, after a quick breakfast we find window shutters opened to the sunlight and in the evening the turn down quickly complete. A lot of care and attention makes the service experience seemingly seamless. The secret gardens of Maison Polanka hide behind tall walls in a local riverside village in Siem Reap. The local area is very local with temples, schools, street foods and charm. In the mornings we wake to the chanting of monks from a nearby temple and throughout the day traditional Khmer music rings from faraway. Free bike use also comes in handy for exploring the local community and the old market is also nearby. 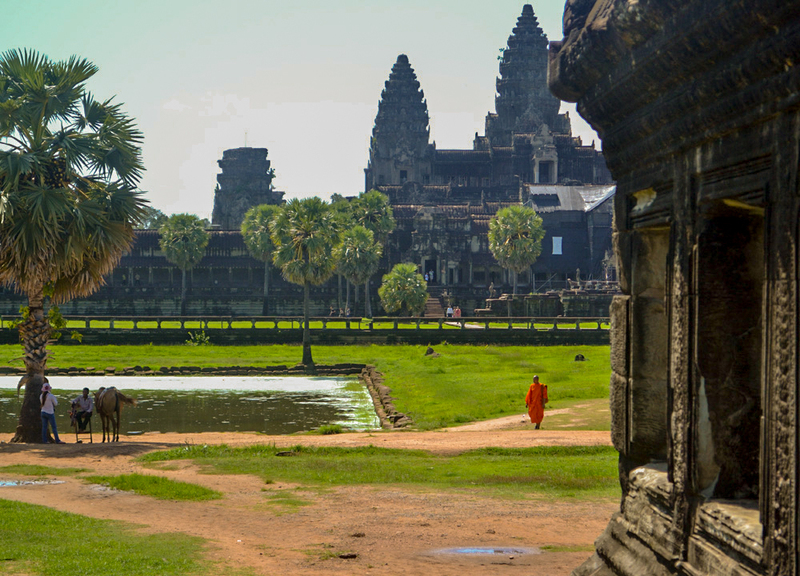 For the more adept of cyclists the temples of Angkor aren’t so far but for a less strenuous visit I suggest using the local Tuk-Tuk drivers or air-conditioned cars. Transport is easily organised through Maison Polanka and again the free use of mobile phones makes things even more simple. For further information and reservation check here.